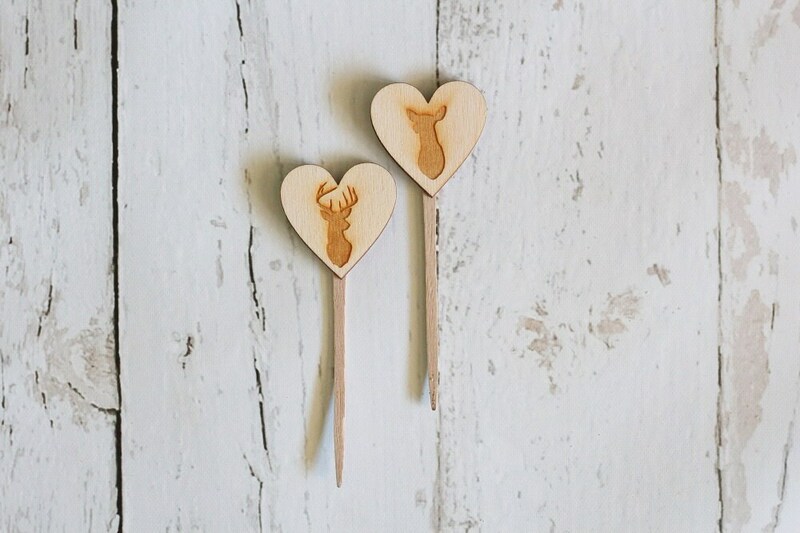 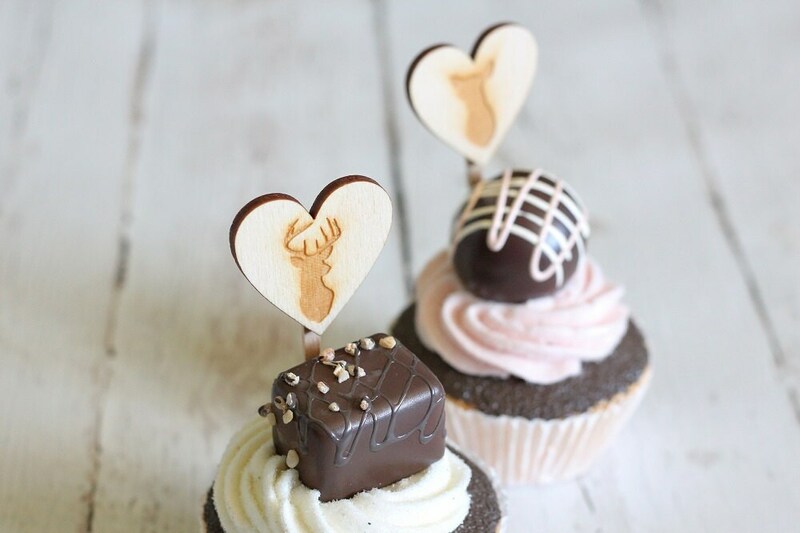 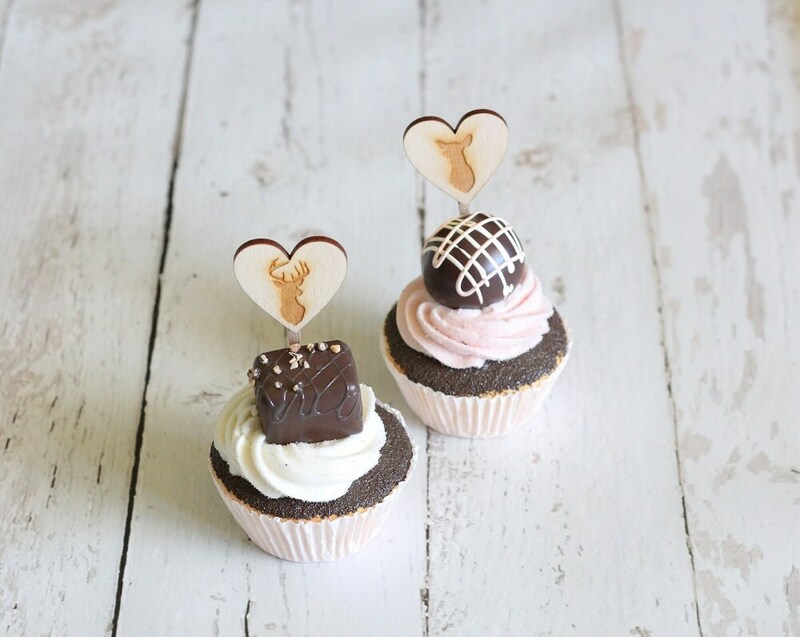 ♥ Natural wood hearts attached to natural wood cupcake sticks. 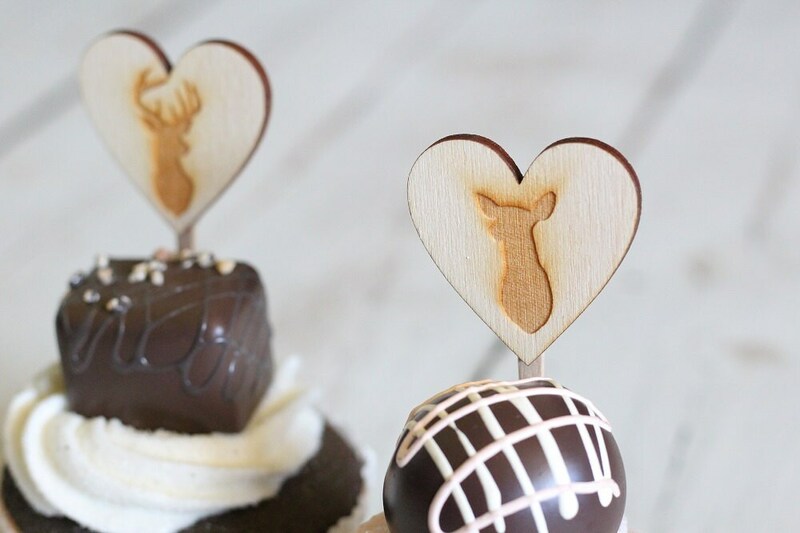 ♥ Buck and Doe images laser engraved. 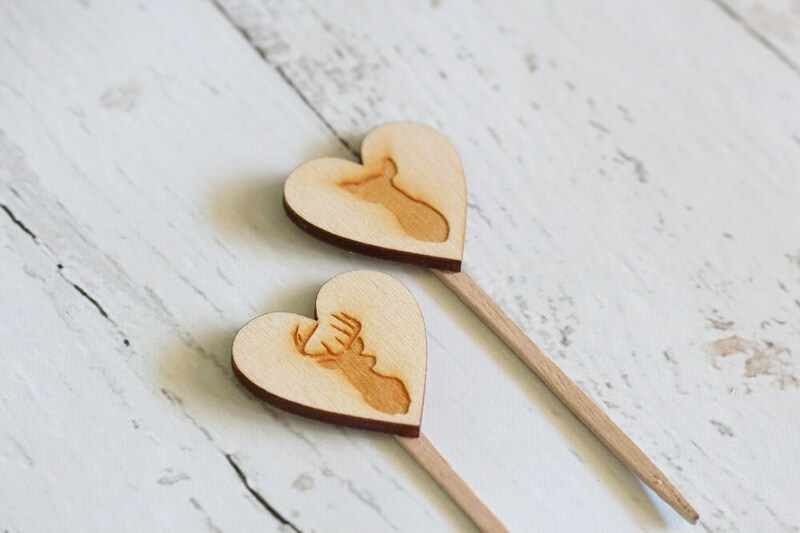 Heart measures: 1.5" x 1.5"
Total height approximately: 4 - 4.5"
Made to order and will ship within 7-9 business days.